John and Lois left a car at Brown Bridge Landing on their way to the Forks so the group was able to get on the water by 9:30 AM. The air was still chilly, but the sun was out and the forecast was for temperatures in the 70's so a few of us even used river sandals for foot gear. 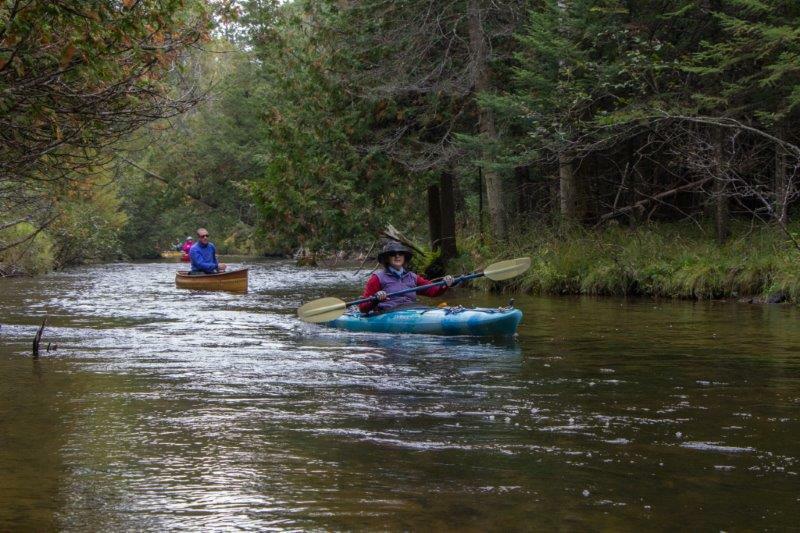 We had the river to ourselves. Here are a few photos from our journey. Sue and Gerry making their way down the river. 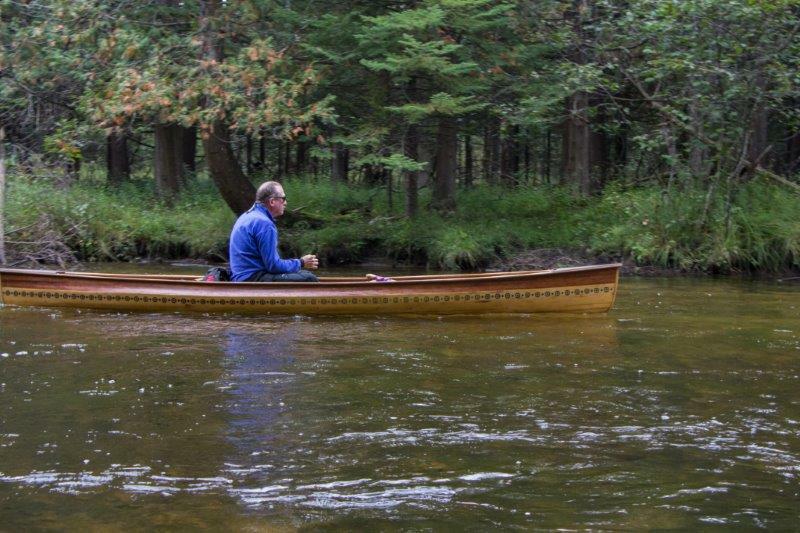 Gerry was using the solo canoe he built. 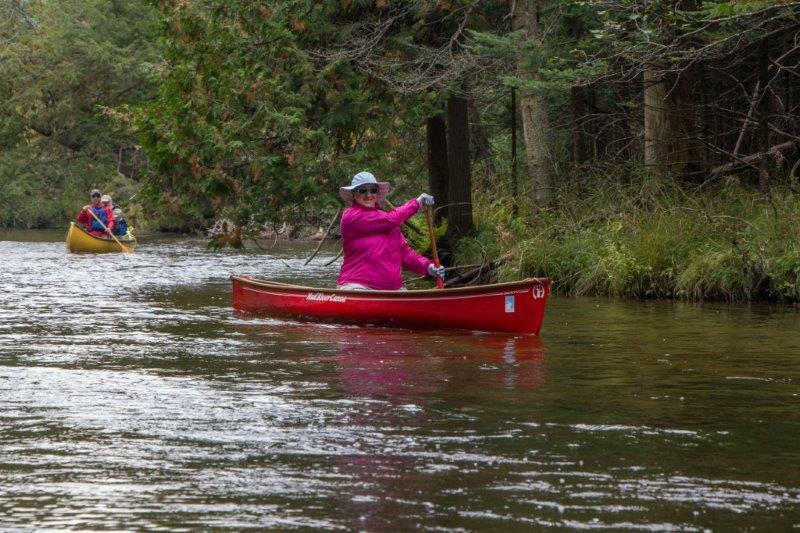 Lois made the mistake of bringing a jacket whose color clashed with her canoe. 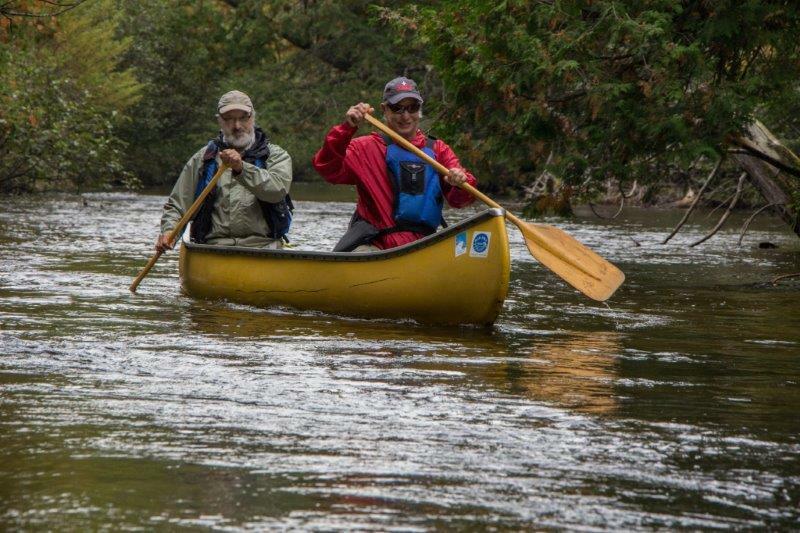 Harold paddled his old whitewater tandem with our friend, Jim Lamb from Chicago. 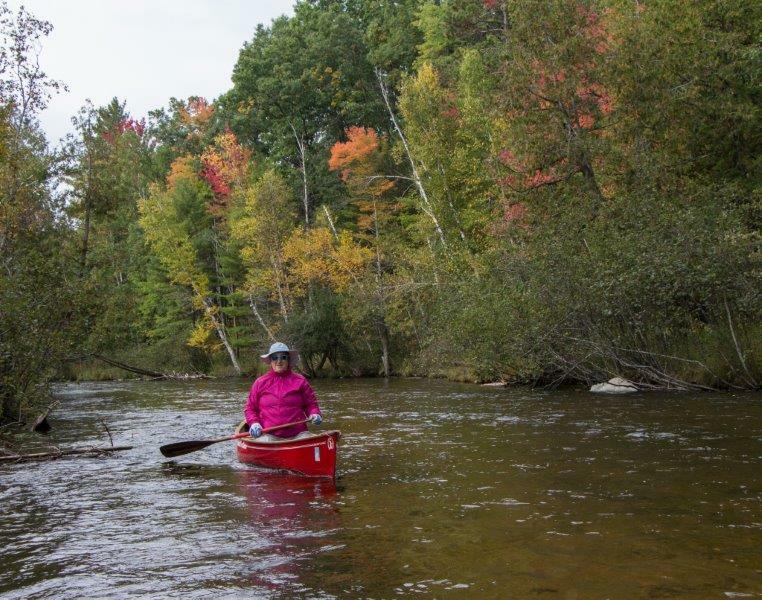 Here you can see the start of fall colors along the banks.